I am currently the rector of Sts. Theodore Orthodox Church (ROCOR), a small parish in a town just outside of Buffalo, New York. Before my ordination to the priesthood and appointment at Sts. Theodore five years ago, I was a tonsured reader serving as a chanter at St. George Antiochian Orthodox Church in Niagara Falls, New York. My wife, Matushka Katherine, and I are the proud parents of three sons, Ephraim, Gregory and Jonah. I began my own academic pursuits into the field of Biblical Studies as a teenager when I asked my parents for an interlinear Bible and Greek grammar for Christmas one year and then proceeded to teach myself the rudiments of Koine Greek. I furthered these pursuits during my undergraduate studies at Cairn University, outside Philadelphia, Pennsylvania. There I began to focus my academic interest in Holy Scripture onto the Old Testament, studying Hebrew, Greek, Aramaic and Syriac to assist in this task. I continued my studies in the Old Testament at the Toronto School of Theology, a consortium of theological colleges federated with the University of Toronto. There I furthered my work in the historical and philological approach to the Old Testament with work in Biblical archaeology, Ancient Near Eastern studies, and early Hebrew and Northwest Semitic epigraphy, while also studying theological approaches to Biblical interpretation, philosophical hermeneutics, and Patristic Biblical interpretation. I eventually wrote my thesis on E. B. Pusey, a nineteenth-century English churchman, Patristics scholar and Professor of Hebrew at Oxford, working on an unpublished series of “Lectures on Types and Prophecies of the Old Testament” in which he attempted a modern revival of a Patristic typological approach to Old Testament interpretation as a corrective to the influx of German higher criticism which he was witnessing. I completed a second graduate degree, this time specifically in Orthodox Theology, with a focusing in Byzantine Musicology, through the St. John of Damascus Institute of Theology at the University of Balamand. In addition to my work on Byzantine musical history, praxis and chant performance, I wrote a thesis on the theological function of liturgical hymnography in the Orthodox Church. I used St. John Damascene as a test case and examined the way in which he approaches theological topics in his hymns as opposed to his more didactic and homiletic writings and from this attempted to discern more clearly the way in which his hymns communicate theological knowledge. Between 2011 and 2018 I taught as a Lecturer in the Department of Religious Studies at Niagara University. Over the course of my university teaching career, I have taught courses in Biblical Studies, Biblical Languages, Christian History and Theology, and World Religions. I look forward to joining the teaching faculty at Holy Trinity Orthodox Seminary to teach courses in Old Testament and Scriptural Interpretation. I am currently working on a two-volume companion set of books which will provide an Orthodox introduction to the practice of biblical interpretation and a survey of the Scriptures from a Patristic perspective. 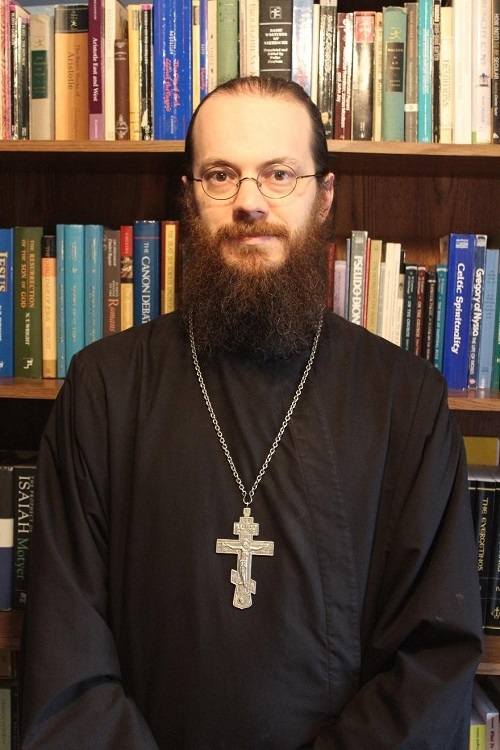 I have given lectures and presentations in a variety of academic, ecclesiastical and other settings on various themes related to Biblical Studies, Byzantine Chant and Hymnography, and Orthodox Theology and Praxis.